St. Lawrence Convent, managed by Gagan Education Society under the Chairmanship of Sh. Girish Mittal, renowned Educationist associated with many Educational Institutes for over 35 years and business entrepreneur running many businesses for the last 35 years. 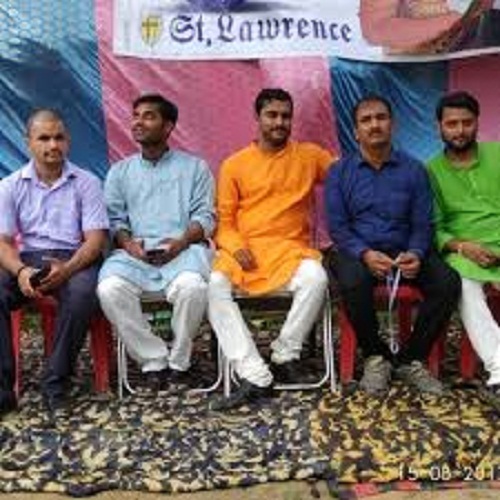 St. Lawrence Convent, at the time of establishment was the latest venture in the field of Education, a stream in which the dynamic vision of Shri. Girish Mittal had dreamed to serve the society in a fully dedicated manner to culmination in the life within the precincts of life. It was intended to start the new session of the school with an aim to promote a system of integral education emphasizing the unity of all knowledge and synthesizes the humanities and the Science. All efforts have been made to create an environment affording inspiration for the development of body, mind and spirit along with the values of truth, honesty, integrity and arduousness. It is intended to serve the needs, purpose and interest of the "Whole Child" of every child. The school proposed to promote value based education including ethical, spiritual and moral education under the tutelage of experts and experienced teachers. St. Lawrence Convent is the temple of humanity build on the foundation of character. It is a matter of pride that our school is chosen by the residents of Paharganj, Daryaganj, Ajmeri Gate, Azad Market, Chandni Chowk, Kashmere Gate and adjoining areas. Some students are coming from the South Delhi area also. This rare achievement is achieved by St. Lawrence Convent only; other well established schools for a long period in East Delhi could not achieve this distinction. After overwhelming and great response, we are pleased to start the registration for new academic session.